Have you ever wanted to sell your old iPhone, and then tried to reset it, but you couldn't remember the password? Or maybe someone sold you an iPhone but they forgot to reset it, and you don't know the password? This can be very frustrating especially if you don't know what to do. Luckily there are several ways to factory reset your iPhone even if it's locked. 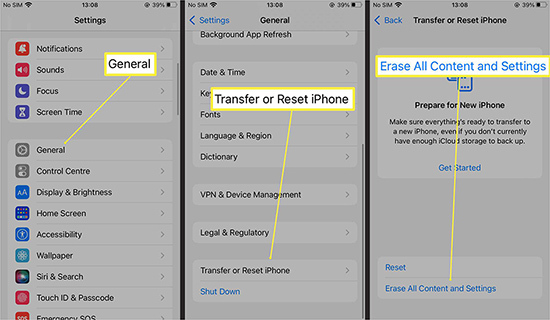 Here we are going to show you how to factory reset disabled iPhones in four simple ways. Step 6: When the restoring process is completed, your iPhone will auto restart. Then on your iPhone screen, select restore from iTunes and then get the backup files from ITunes. If you don't want to get the data, you can choose to cancel. Step 7: The software will be downloaded for your device. After the download process is completed, click on Restore iPhone. Note: If the iPhone remains in recovery mode for over twenty minutes, you will have to repeat steps 3 and 4 again. Step 4: Wait as your phone is completely erased. This process will also disable the iPhone's phone lock. 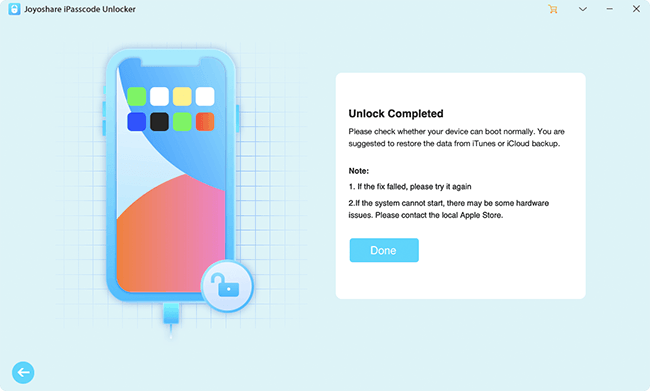 Using a third-party unlocking tool like Joyoshare iPasscode Unlocker to factory reset your disabled iPhone can be the best option. 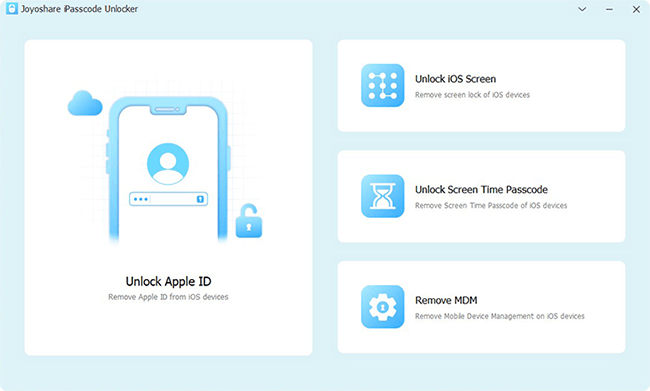 Joyoshare is a smart expert unlock tool that is specifically designed to reset and remove screen lock from several iOS devices including iPads, iPod touch, and iPhones. Joyoshare iPasscode Unlocker has a clean and automatic interface that ensures that most users can operate it with ease. Joyoshare can easily bypass four types of password supported by iOS devises. Those types include the 4-digit and 6-digit screen passwords, Touch ID and Face ID. Even if your phone is a second-hand device, or your iPhone is cracked or disabled, Joyoshare can easily reset your phone with just a few clicks. Launch Joyoshare iPasscode Unlocker on the PC or Mac. Connect the phone to the computer using the iPhone USB cable. After Joyoshare has recognized your device, click on the Start button. 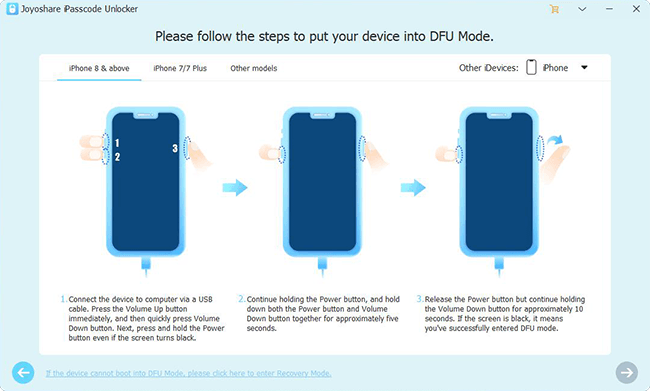 Boot the iPhone into Recovery Mode or DFU Mode. The steps on the screen will guide you on how to do precisely that. Click Next button to go on. Download and verify firmware package. 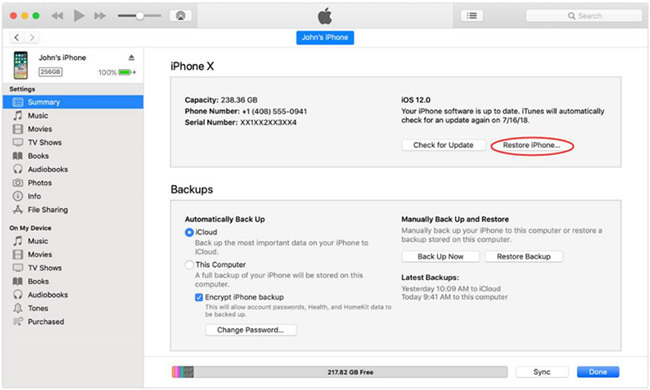 Once your phone is in recovery mode or DFU mode, the program will show you all the information about your iPhone. If the data is not correct, you can correctly change that manually. 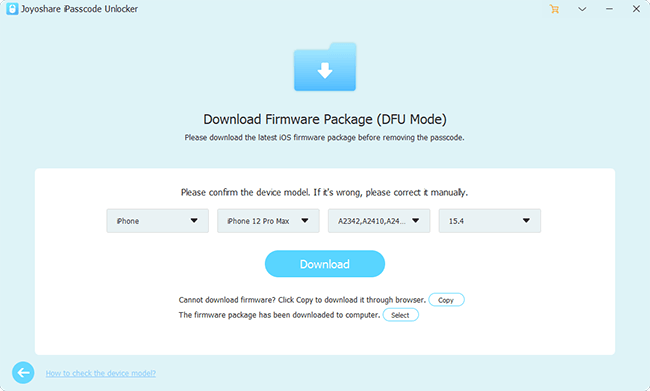 Click the Download button to download and verify the firmware package. Wait while the program downloads and verifies the firmware for your iPhone. After the process is done, click the Unlock button to unzip the firmware and reset you disabled iPhone. Once the process is completed, your iPhone has successfully been reset and is no longer disabled.